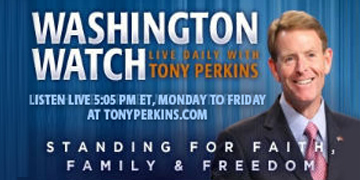 On Tuesday’s edition of "Washington Watch with Tony Perkins" Washington Watch producer, Russ Jones, guest hosts for Tony. Chuck Holton, Former Army Ranger, NRATV War Correspondent, and author, joins our guest host with his first-hand observation of the migrant caravan approaching the U.S. southern border. Rev. Dr. Nicole Martin, Senior Mobilizer with American Bible Society, is here to discuss this being National Bible Week. Love and Fidelity Network’s Pat Fagan joins Russ to discuss the growing trend of cohabitation over marriage among young adults.